A strange name you may think, and you'd be right, but so called because this lovely little chap was born on a Tuesday. 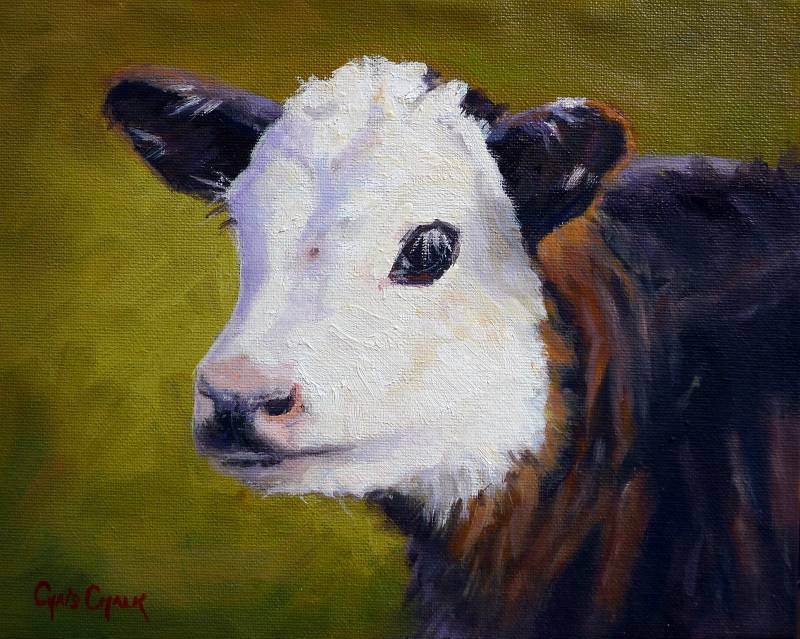 Owned by a farmer friend, this little Hereford Calf was great fun to paint, who could resist those eyes! Oil on canvas: board 10" by 8"